The First FOCAC Summit was held in Beijing in 2006, and 12 years on leaders from China and Africa will once again gather in Beijing to usher in a new era of Sino-African cooperation. This summit, the third in FOCAC's 18-year history, demonstrates the value that China places on Sino-African ties and promises to drive the China-Africa friendship to new historic heights. Inadequate infrastructure is a bottleneck that constrains Africa's economic development. Poor transport facilities and substandard roads have created exorbitant costs in domestic and regional trade, as well as impeding foreign investment. 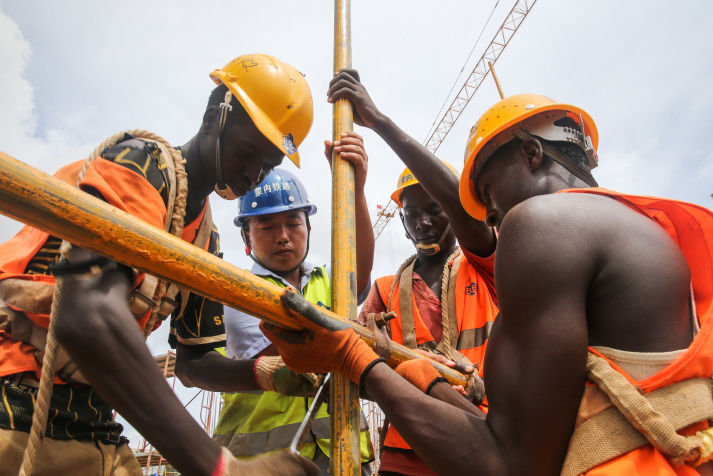 Financing for Africa's infrastructure needs faces an annual shortfall of at least $20 billion. In addition, most African countries have a low level of industrialization, and the contribution of industry to their economies is correspondingly small. However, Africa is a continent with abundant resources, low labor costs and great market potential, while China has significant advantages in capital, technology and equipment, as well as a wealth of experience in transforming from an agricultural to an industrial society. At a time when China is undergoing a fundamental phase of economic transition and upgrading, there is plenty of high-quality capacity and advanced equipment and technology available for outward transfer, much of which is ideally suited to Africa's needs. Just as the Chinese people harbor the Chinese dream of national rejuvenation, the African people hold the African dream of achieving development and alleviating poverty. Connectivity and industrialization are essential preconditions and the only path toward the realization of this dream. The Belt and Road Initiative can work in harmony with Africa's development strategy for the 21st century. It can provide new drive for the sustainable development of Sino-African relations and help Africa take a step forward, blazing a new trail for South-South cooperation. China and the AU signed a memorandum of understanding (MOU) on infrastructure construction cooperation on January 27, 2015. According to the MOU, under the strategic framework of Africa's 2063 Agenda, China will enhance cooperation with African nations on railways, highways, regional airlines and industrialization to promote African integration. Chinese enterprises have already launched construction projects in these fields in countries such as Ethiopia, Djibouti, Kenya and Nigeria. For example, the Huajian Group, a shoe producer from Dongguan in south China's Guangdong Province, began operating in the Ethiopia Oriental Industrial Park at the end of 2011. By the end of 2017, Huajian had become the largest private Chinese investor in Ethiopia, generating $122 million of foreign exchange income and creating 7,500 new jobs for the local population. The company produces over 5 million pairs of women's shoes each year, accounting for more than 65 percent of the Ethiopian shoe industry's total exports. On September 1, 2017, the Ethiopian Government awarded Zhang Huarong, Chairman of the Board of the Huajian Group, the honorary title of "Father of Ethiopia's Industry" for his contribution to the country's development. Inspired by its success in Ethiopia, the Huajian Group plans to invest in Rwanda, Nigeria and elsewhere in Africa in the future. Industrial cooperation between China and Africa has already begun to bear fruit. 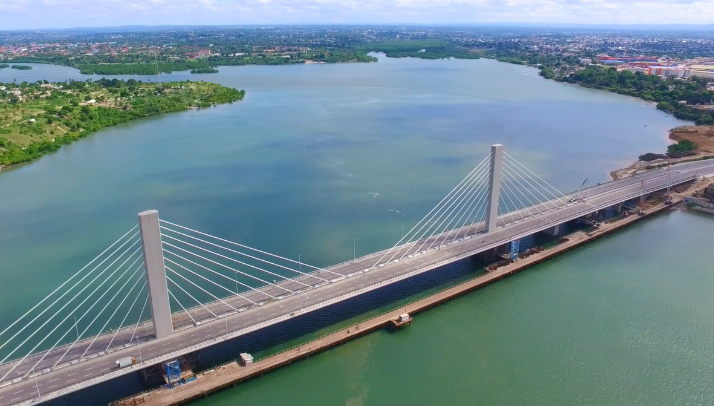 As one of the first African countries to join China in international industrialization cooperation, Tanzania has signed a framework agreement with China on supporting key projects of the country's ongoing five-year plan. As Kenyan President Uhuru Kenyatta said at the opening ceremony of the Mombasa-Nairobi Railway on May 31, 2017, the new line is "one of the cornerstones to Kenya's journey of transformation to an industrial, prosperous and middle-income country."